Two days ago when we wrote about how much had changed with the Cleveland Cavaliers over the past four years, the biggest unanswered question was just how much had changed for LeBron James. We learned the answer today as James announced that he is indeed coming back to the Cavs in free agency. 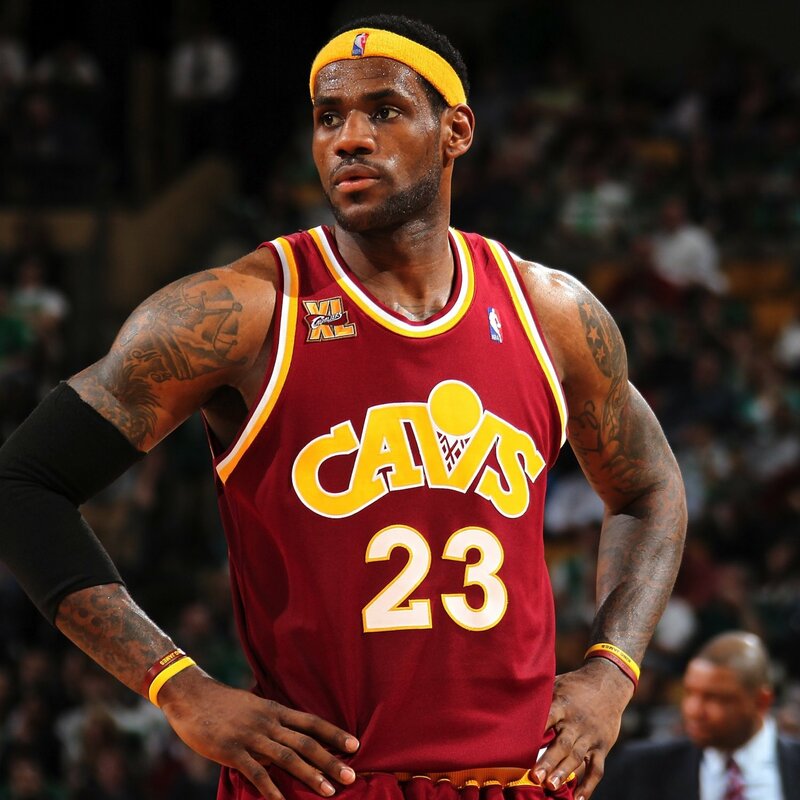 “I always believed that I’d return to Cleveland and finish my career there. I just didn’t know when. After the season, free agency wasn’t even a thought. But I have two boys and my wife, Savannah, is pregnant with a girl. I started thinking about what it would be like to raise my family in my hometown. I looked at other teams, but I wasn’t going to leave Miami for anywhere except Cleveland. The more time passed, the more it felt right. This is what makes me happy. “But this is not about the roster or the organization. I feel my calling here goes above basketball. I have a responsibility to lead, in more ways than one, and I take that very seriously. My presence can make a difference in Miami, but I think it can mean more where I’m from. I want kids in Northeast Ohio, like the hundreds of Akron third-graders I sponsor through my foundation, to realize that there’s no better place to grow up. Maybe some of them will come home after college and start a family or open a business. That would make me smile. Our community, which has struggled so much, needs all the talent it can get. For anyone who has ever moved away from the area for personal or business reasons and still felt the unmistakable pull of their hometown, it all makes sense. Sometimes you need to leave to get to a better place professionally or become a better person. And it’s not until you leave that you learn what you are missing. While we’re not on the same level professionally as James, the seven years we spent living on the East Coast after college developed a longing for Ohio that we didn’t know existed before then. Suddenly, things are better than you remember, it’s more comfortable when you come back, and you gain a new appreciation for what the region has to offer. And once you add kids into the mix, you come to understand that Northeast Ohio can be a pretty special place. Cavs owner Dan Gilbert deserves credit for today’s news as well. Gilbert has a lot of faults as an owner, but no one can ever say he doesn’t learn from his mistakes. Gilbert’s willingness to sit down and talk openly with James about the aftermath of James leaving for Miami in 2010 certainly helped to seal the deal. James’ return makes the Cavs a better team – how much better remains to be seen – and puts the Cavs back on the NBA map. The national attention is back, the Christmas Day game is back, the need to be there for tip-off is back. Opening night this fall at the Q may actually bring the building to the ground. After four years in purgatory, it is going to be fun to watch the Cavs play again as the team will no longer just be something to do between the end of Browns season and the NFL Draft. Just a few weeks ago, the Cavs did not have a coach, were thrown for a loop with the news of Joel Embiid’s foot injury, and no one knew about the future of Kyrie Irving. Since then, the Cavs have hired David Blatt, a head coach ready to take over the league; a top draft pick in Andrew Wiggins that may actually play like the No. 1 overall pick; and have locked up Irving for a contract extension. And now LeBron James is coming home to where he belongs – Northeast Ohio. The past four years already feel like a distant memory.